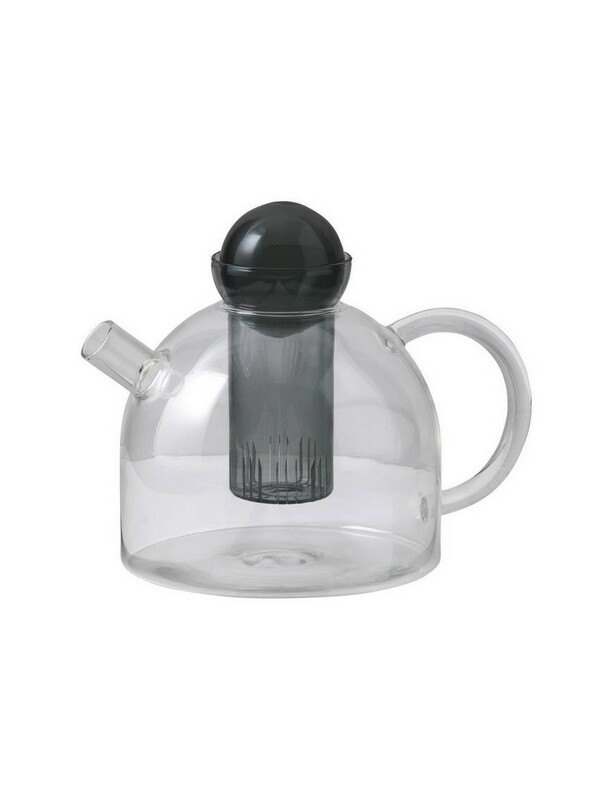 Here is the "Still" teapot by the Dansih brand Ferm-living, which is perfect for the entire family – Modern and suitable for any table. Treasure a moment of tranquillity with the Still Teapot based on the traditional way of tea with a focus on simplicity and balance. 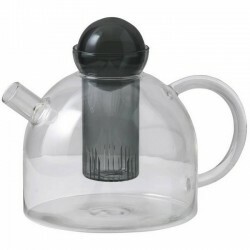 The transparent and coloured glass makes the brewing of tea the heart of the pot, while the rounded glass lid reflects the aspect of balance, as it is designed to spin around itself instead of rolling off the table.